“U’shmartem es hamatzos” (Shemos 12:17) teaches that there is a requirement for matzah to be guarded/watched (Pesachim 38b). Rashi (ibid.) explains that this watching (shmirah) has two parts. First, one must watch the matzah to ensure that it does not become chometz. Second, the shmirah itself needs to be for the sake of matzah shel mitzvah. I would like to elaborate on these two elements. Regarding the first element, although there is a general principle to guard oneself from sinning, such as guarding one’s tongue from speaking lashon harah, there is a specific halacha that matzah must be watched so that it does not become chometz. Based on this halacha, Rabbi Eliezer forbids eating matzah made by a Kusi (those who converted in a questionable manner in the times of the King of Ashur.) Kusim are not aware of the halachah that matzah must be guarded from becoming chometz. Thus, their matzah are not suitable for Pesach (Chulin 4a). Regarding the second element, does one require explicit intent that he is watching the watching or baking these matzos for the sake of matzah shel mitzvah? 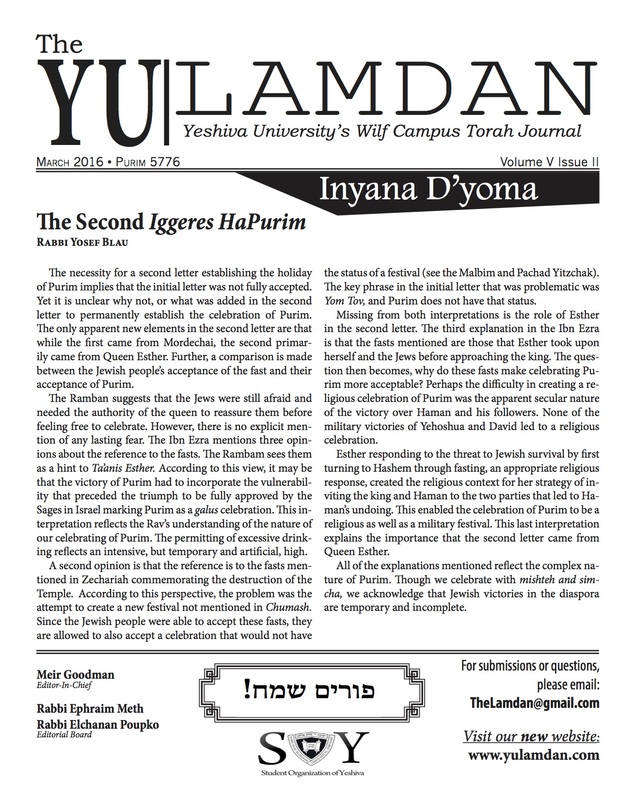 Rabbi Yechezkel Levenson (Chazon Yechezkel, Tosefta Pesachim 2:12) says that within thirty days of Pesach, there is an implicit lishmah. In other words, it is clear that the watching and baking is being done for the sake of matzah shel mitzvah. However, if one is baking matzos thirty days before Pesach, one requires explicit intent that its watching and baking is for the sake of matzah shel mitzvah, since it is not clear that the matzah is being processed specifically for the mitzvah; it is possible that it is being made from some other occession. A similar idea is found in Rashi in Sukkah (9a). Rashi writes that even Beis Shammai who requires that a sukkah be built for the sake of the mitzvah agrees that within thirty days of Sukkos there is no need to build it with explicit intent. It is clear why the sukkah is being built – thirty days before a chag, one’s mindset is tuned towards the holiday, so that any preparations made have an implicit intent for the upcoming mitzvah. Thirty days before the chag, one must have explicit intent that the sukkah is being built l’shem mitzvah.